"Among the rugged peaks that frown down on the Borgo Pass are found crumbling castles of a bygone era." These were the first words spoken in Dracula . . .
the first of what is now Universal Studio's cornering of the horror movie genre in Hollywood. They were said by a young and very talented actress named Carla Laemmle. Want to know more about this incredible lady?! Then read on! GOOD NEWS FOR CARLA LAEMMLE! Ms. Laemmle was the lady speaking the words in the coach scene with Dwight Frye at the beginning of Bela Lagosi's Dracula in 1931. Her upcoming 101th birthday is coming up! Those who would like her address to send her a birthday card can email Maven at theoldmoviemaven@yahoo.com! And now Among the Rugged Peaks has now been turned into a documentary narrated by Sally Kirkland. You can find more about it at http://www.wix.com/brutusln/amongtheruggedpeaks! Now you can read reviews . . . AMONG THE RAGGED PEAKS . . .
Maven now has her hot little hands on Carla Laemmle's biography Among the Rugged Peaks: An Intimate Biography of Carla Laemmle by Rich Atkins! An extra dividend is a bookplate with Ms. Laemmle's autograph on page one. It's a trade paperback (as in larger than the standard paperback at $25) with letters from La Belle Carla and photographs from her own collections . . . not to mention the background she provides to Universal Studios, Hollywood in general . . . . You all get the idea! The 215 pages of text and pictures includes an appendix that lists her stage and screen credits under each name that Ms. Laemmle used during her career. The reader gets lots of goodies from stories about her Uncle Carl and Cousin Carl, Jr., running Universal Studios through the making of Night and Day (1946) with Cary Grant and on from there! So get your copy, snacks at hand, sodas on ice, the phone off the metaphorical hook, the doorbell muffled and . . . . Enjoy a ride with Carla Laemmle down the rugged peaks of Hollywood! 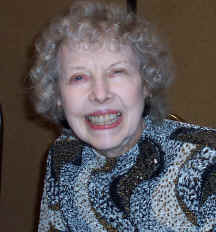 *Among the Rugged Peaks: An Intimate Biography of Carla Laemmle by Rick Atkins; Midnight Marquee; February, 2009. 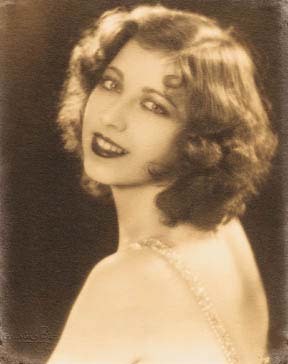 Carla Laemmle . . . Among the Rugged Peaks . . . I just ran across your letter to me dated way last August inquiring about my book. It has a new title, - Among the Rugged Peaks - An Intimate Biography of Carla Laemmle. It is just about to be published by Midnight Marquee Press - You can order it now over the Internet. I would deeply appreciate your letting as many people know as possible. I'm sur they'll be pleased with it. Maven has her copy ordered and on the way. The review will be posted as soon as Maven can get her cute little hands on it! Maven had a relative scan it . . . so adjust accordingly if you choose to pull up the original letter! More links about Carla Laemmle! Maven has been very lucky to be in touch with Mrs. Carla Laemmle , who spote the first words in the first true horror picture, Dracula (1931). Dracula not only launched a genre but Universal Studio's becoming the Horror Palace for monster lovers everywhere! "[Carla] Who?" 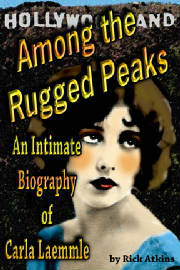 title so it has been changed to: "Among the Rugged Peaks--An Intimate Biography of Carla Laemmle." The new title is just now being sent to publishers. I hope that one of them will take a chance on it - After all I am not a great celebraty. It is ever so kind of you to offer your support. I will be happy to let you know should I have some good news to report. So keep checking back here for news on what will be undoubtedly a great good read on a time and place in Hollywood that produced great actors and movies!! Ms. Laemmle was also very kind to have answered some of Maven's questions, which will only whet our appetite for her life's story! . . . This is the interview that Maven was lucky enough to get from Ms. Carla Laemmle, who is probably the only surviving actor from Bela Lugosi's 1931 version of Dracula. Then Maven has a treat in Ms. Laemmle;s answering about her coach scene. While I had to raise the price of my "Dacula" Photo to $10.00, I am happy to send you one for $5.00. Yes, it is most likely that I am the last living member of the cast of "Dracula." It is hard to believe that so many years have passed by since the movie was made! Or that it should be so popular! DID YOU WANT TO BE AN ACTRESS WHEN YOU WERE GROWING UP? I was trained to be a balet dancer, becoming an actress came later. DID YOU AUDITION FOR TE ROLE OF THE GIRL IN THE COACH? WHO DECIDE YOU GOT THE JOB? The casting department at Universal Studeo called me in for it. AND TOD BROWNING, THE DIRECTOR? 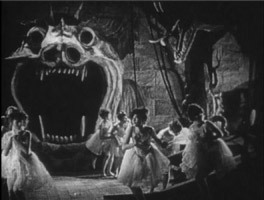 Tod Browning was not there to direct that sequence. DID YOU EVER MEET BELA LUGOSI? Maven has gotten doubly lucky! and forth to make it appear on very rough road [sic]. Ms. Laemmle also is in the process of writing her autobiography, Carla Who?, that Maven hopes to let you know more about it as she gets the details! She also told me that her birthday is the same as Bela Lugosi's was . . . October 20st . . . and has recently traveled to the Laupheim Museum in Germany. One elegant lady well-worth knowing! 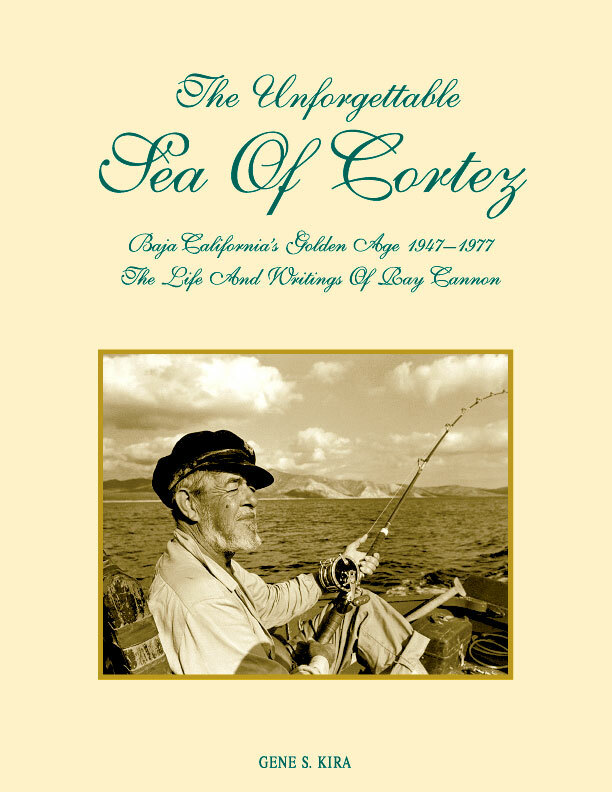 Click on the picture at right that is dedicated to Carla Laemmle's help for George Kira's The Unforgettable Sea of Cortez about Ray Cannon. 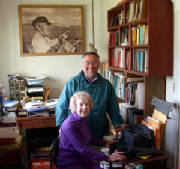 She is seen with author Gene Kira in Cannon's office. And please check out http://www.bajaquest.com/genekira/cannon.htm that Mr. Kira had to say . . . and show in pictures about Mr. Cannon!